Blackpool Central is the big site in the town centre which was once the Central Railway Station. It’s going to see a major £300m redevelopment as a ‘Chariots of the Gods’ Entertainment Park. Chariots Of The Gods will be the main theme for Blackpool Central. Including the anchor attraction – the UK’s first “flying theatre”, a fully-immersive thrill ride that will create the incredible sensation of human flight. 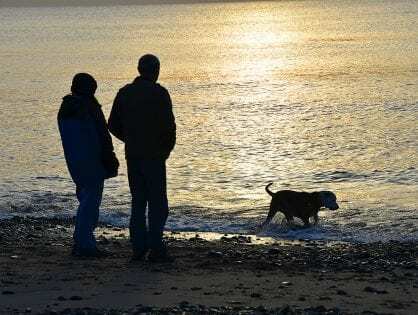 It’s estimated that the development will attract 600,000 additional visitors a year with a combined annual spend of £75m. It will also create around 1,000 new jobs. 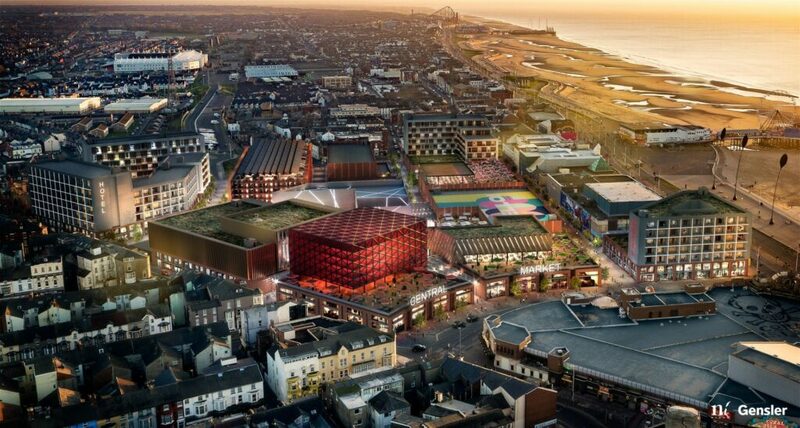 The Leader of Blackpool Council, Cllr Simon Blackburn, described the Blackpool Central project as a potential “game changer”, creating a unique, first-class leisure destination in the heart of the resort. The Blackpool Central project name relates back to the days when the site housed the resort’s main railway station. 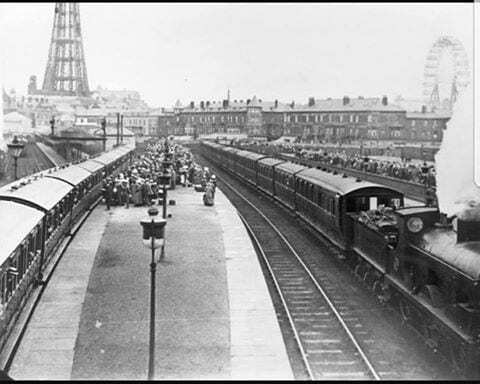 At its peak, Blackpool Central Station was the busiest in the world. There’s more about the history of the site and it’s days as a station below. The project is a collaboration between UK-based development company, Nikal Ltd, and Media Invest Entertainment, which owns the intellectual property rights to Chariots Of The Gods. 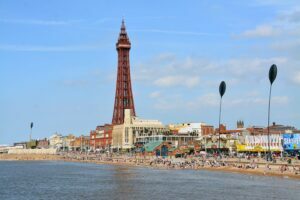 Blackpool Council is working closely with both parties to help “unlock” the development opportunity which is currently envisaged to be delivered in several phases over an eight to nine-year period, with work starting as early as 2020. 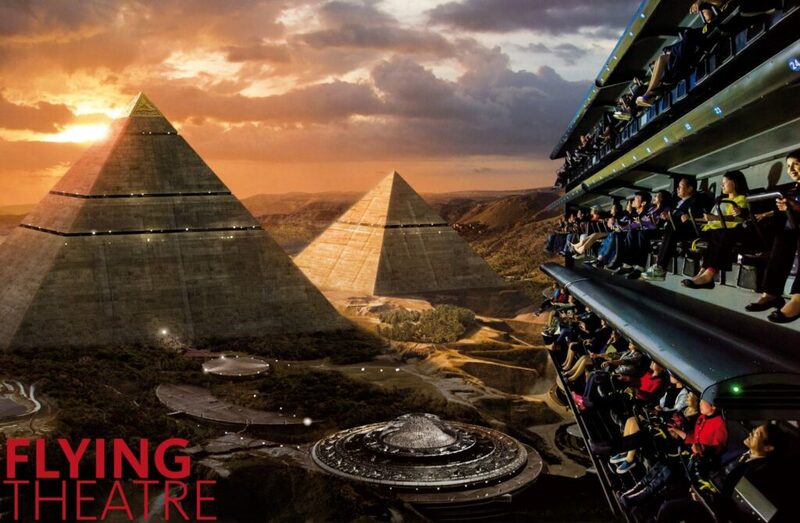 The UK’s first Flying Theatre: An extraordinary attraction that will provide an unparalleled flying sensation. The indoor theatre will be fully immersive with on-board special effects including wind, fog, water and scents, with state-of-the-art projection and surround sound. Virtual Reality Experience: The most advanced VR experience on an epic scale with free-roam, multi-player capability, body tracking, and motion simulators for unmatched realism in game-play. Greatest Mysteries: The world’s first multimedia exhibition of its type exploring extra-terrestrial influences on the great ancient civilisations. A fully-immersive educational and entertaining experience created with leading-edge technology. Adventure Land: Expansive indoor family entertainment centre incorporating a series of physical and mental challenges including free-fall hang gliding, rope courses, adventure trails and interactive climbing walls. This first phase, due to open in Spring 2024, will be complemented by the development of an Artisan Food Hall accommodating up to 30 outlets and an event square. Incorporating a stage and video wall, it will be used to host themed markets, open-air concerts and events. A new 150-bedroom promenade hotel is also planned. 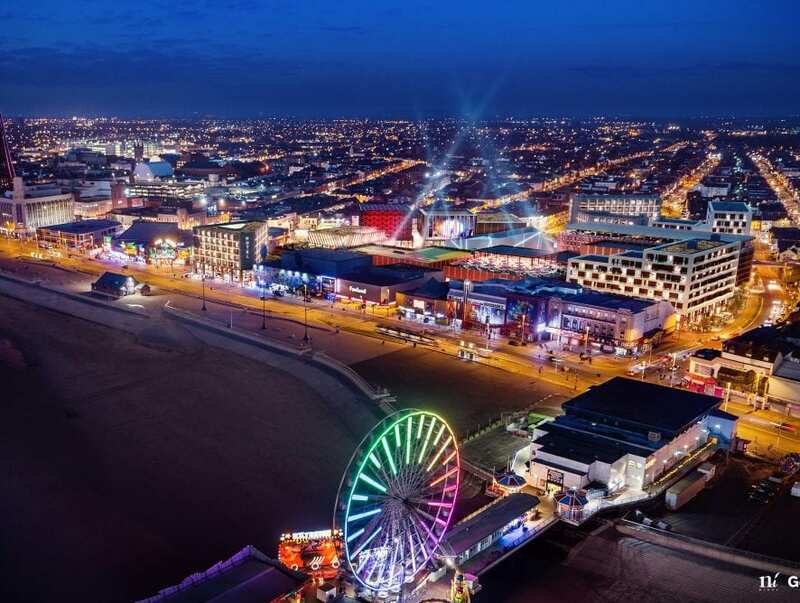 “Together with some of the best companies in the industry, we have developed a one-of-a-kind, exciting indoor entertainment concept with truly world-class attractions which will integrate perfectly into Blackpool’s pre-existing leisure cluster. The police station headquarters has already relocated to new premises at Clifton Road, Marton. 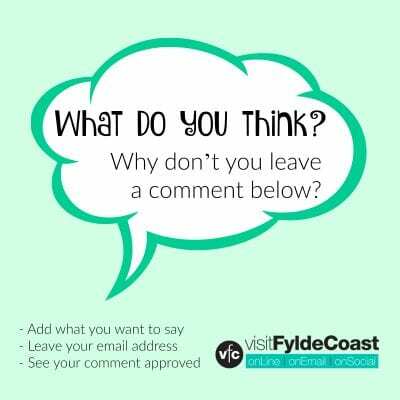 Blackpool Council has been in negotiations for some time regarding the site, with officers and councillors travelling to Florida several times for meetings. In November 2017 the Council Leader and Director of Place attended the IAAPA (International Association of Amusement Parks and Attractions) conference. Held at the Orange County Conference Centre in Orlando, it was the second time they’d attended. An exclusivity and non-disclosure agreement has been in place with a potential developer regarding the 20 acre site. It’s said to be an ‘attraction led’ indoor area with a themed hotel and retail. 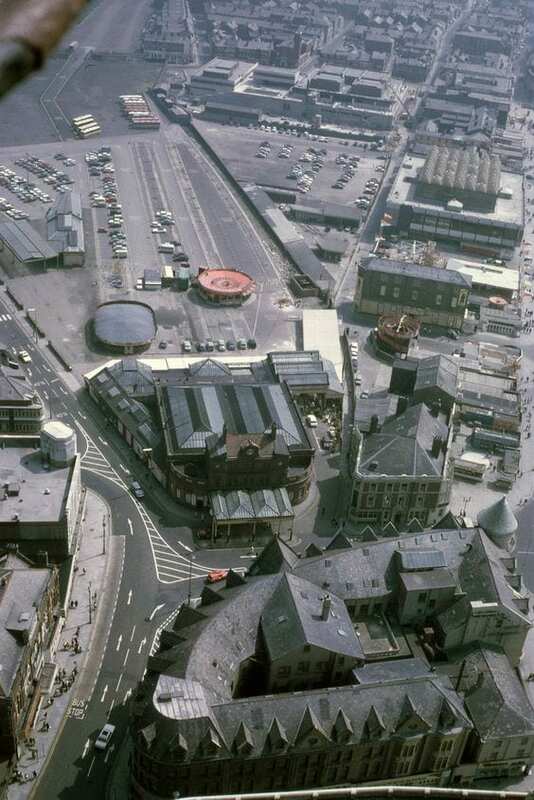 Central Car Park was previously intended as the site for the super-casino and then an indoor snow attraction. In the absence of a major development being forthcoming, it’s been used in the interim as a surface car park. 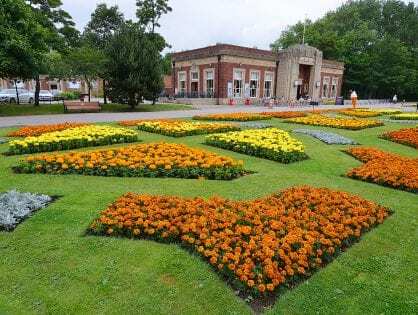 The plot of development land which stands in such a prime position was once the site of the former Central Railway Station. The addition of various terminus delivering routes to more destinations saw it grow to become the world’s busiest railway station by 1911. We’ve sourced these historic images from Pinterest. Unfortunately their credits have gone astray so apologies to anyone who owns the originals.  Please get in touch and we’ll add a photo credit for you. 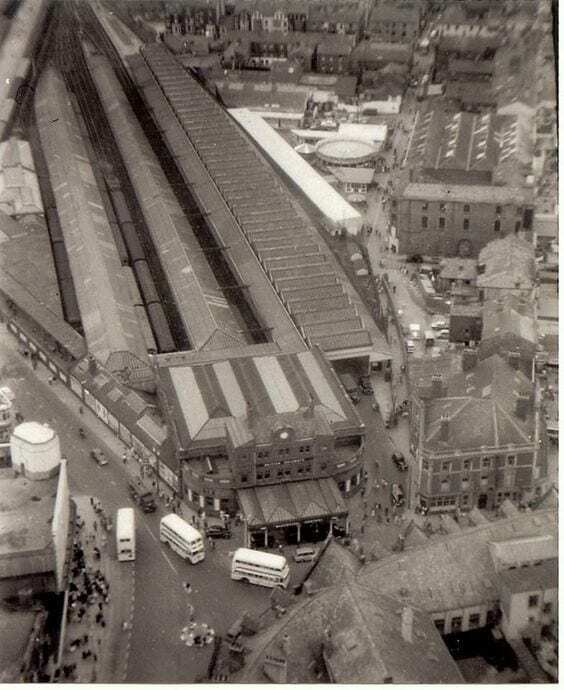 The station opened in 1863 as Hounds Hill (hence the name of our local shopping centre). 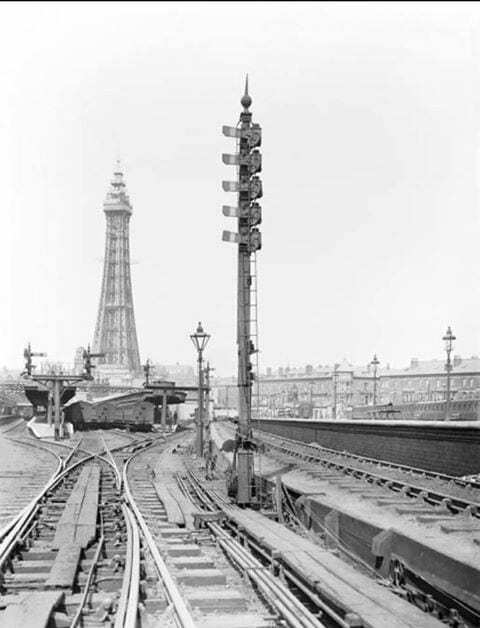 It’s name was changed to Blackpool Central in 1878. It was once a huge place with 14 platforms, where everyone arrived for holidays and day trips. It just managed to see it’s centenary before it was to close in 1964. 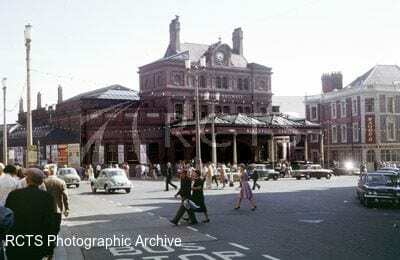 The Beeching Cuts had indicated that Blackpool North should close but the then council lobbied for Central Station to go instead. 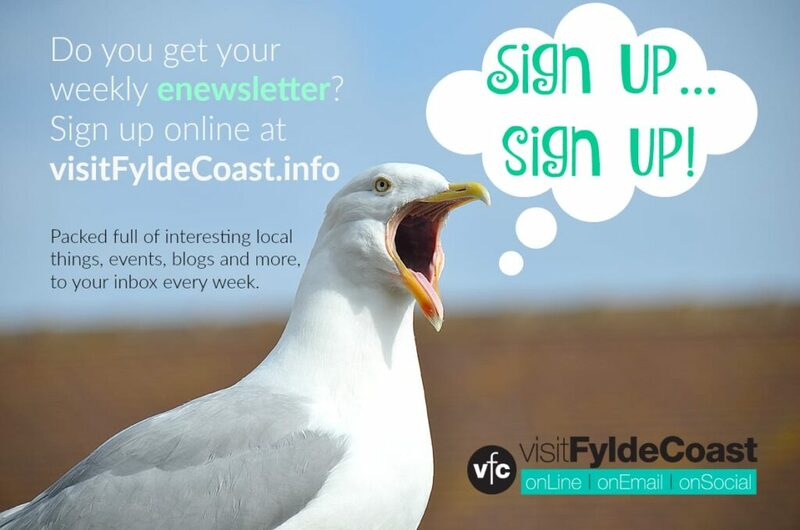 Blackpool Council bought the site for future redevelopment – it’s been some time coming! The direct Marton line finally closed in 1965. 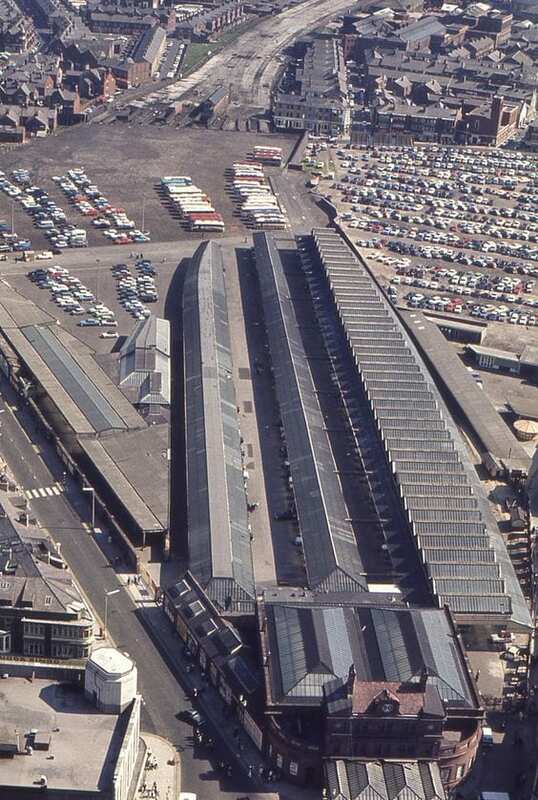 All of the station buildings were finally demolished in 1973. At that point the whole site became wasteland with all the associated bridges and embankments and railway paraphernalia. 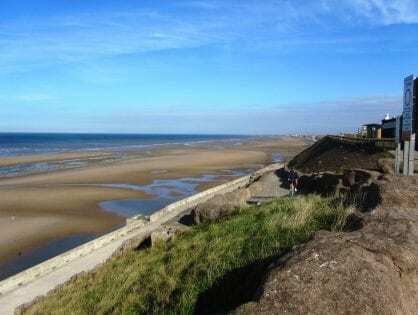 In the 1980s the derelict bed of the railway lines was made into Yeadon Way, creating easy access from the centre of Blackpool to the M55 and motorway network. 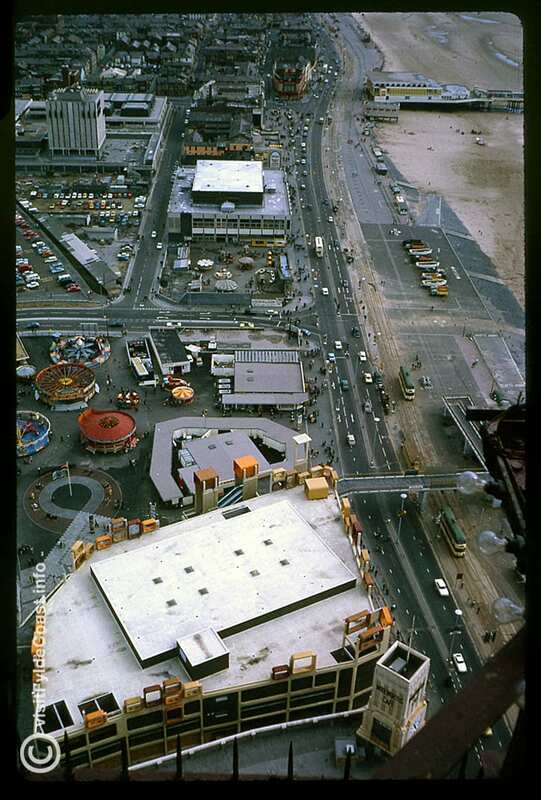 For many years Central Car Park was the site of the Blackpool Illuminations switch on event. Wikipedia tells us that the very outer wall of the car park is the last visible remnant of the 1900 building and that traces of the platforms can be seen in the car park. We’ll have to go and investigate! Do you remember the Victorian public toilets at Central Car Park? Tiled in regulation green and white they were always immaculately clean and staffed by a lady in an overall. The block of toilets was demolished and replaced with Danfo cubicles in 2009. I started work in 1952 as a train booker at Blackpool Central signal box which stood at the end of platforms 7&8. 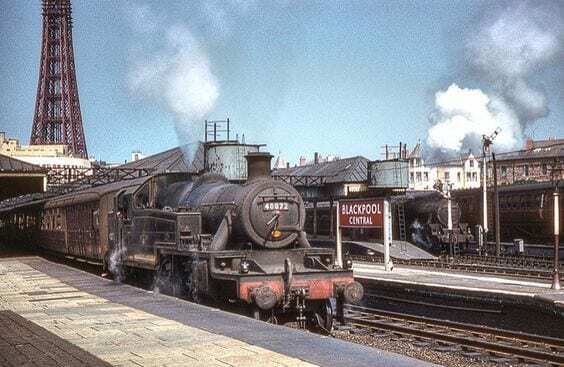 I then moved on to start as an engine cleaner at Rigby Road Motive Power Depot the following year where I stayed until the Beeching axe in 1963. 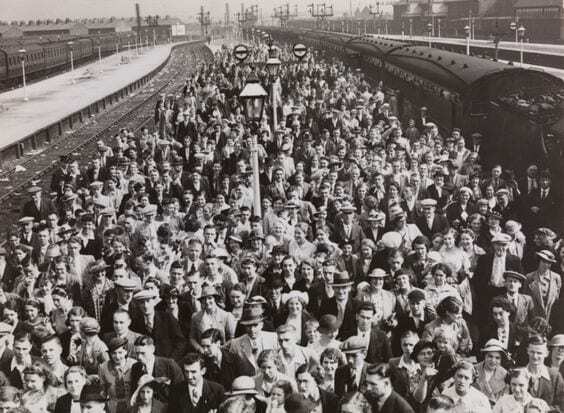 I certainly remember the crowds, the late night return trains on Saturday night after dancing at the Tower and Winter Gardens to the likes of Ken Macintosh and Ted Heath , the smoke, the steam and the Victorian buildings that made up the old Central Station as well the station at Blackpool South and all the way round the coast line via Lytham. Are there any of the Rigby Road boys left ?